Easy access, regular grooming, and a relaxed grade make the Mill Creek Ski Trail a safe and simple way to enjoy the natural beauty of the Wasatch Mountains. Varies, depending on which trail you get on. Mill Creek Canyon’s easy access to Salt Lake City makes it a popular day-trip getaway for locals year-round. Mill Creek offers beautiful, evergreen-shaded hikes and smooth, flowy mountain bike trails in the summer. During the winter the canyon becomes a paradise for fat bikers, snowshoe enthusiasts, and cross-country skiers. Easy access and a relaxed grade make the Mill Creek Ski Trail a safe and simple way to enjoy the natural beauty of the Wasatch Mountains. There are other ski and snowshoe friendly trails in the area, such as the Pipeline Trail. Since these are narrower and un-groomed, they tend to be better suited to the seasoned skier. The trail simply follows the road. It’s a mellow grade that gains 1240 feet in 4.5 miles. The road winds up the canyon through a beautiful evergreen forest, passes several summer-use campgrounds, and ends at the Big Water Yurt parking area (summer use only). 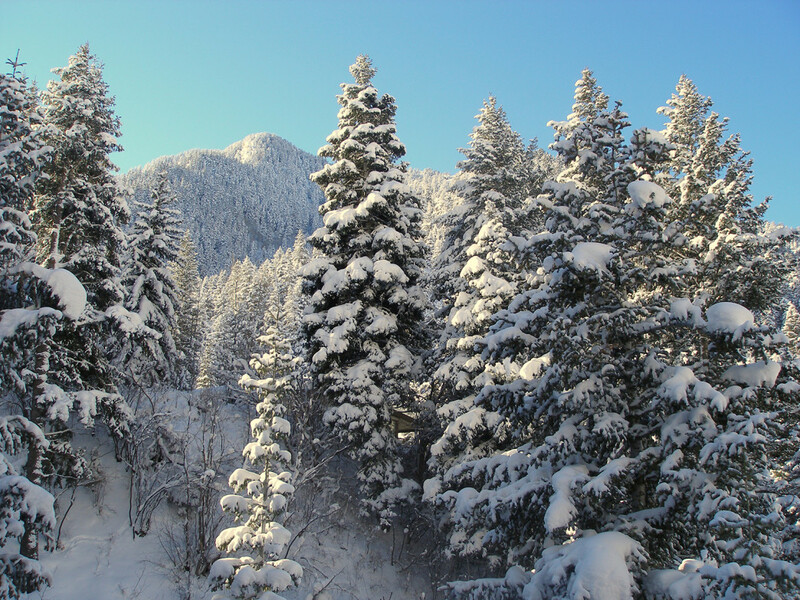 The Mill Creek Ski Trail provides a fun day of cross-country skiing for everyone from the novice to the seasoned pro. Even your four-legged friend will appreciate the area’s convenience and beauty. The Mill Creek Ski Trail is easy to find. Take I-15 to the 3300 South exit, then head south on Wasatch Blvd. Take a left at the 3800 South intersection and head straight into the canyon. Parking for the Mill Creek Ski Trail is 4.8 miles up Mill Creek Canyon from Wasatch Blvd. It’s a popular destination during the winter, and while there’s plenty of parking, it can get a bit crowded—especially on Saturdays. Every year on November 1 the gate at the Maple Grove Picnic Area is closed for the winter. From this point to the Big Water Yurt, 4.5 miles up the road, the road is groomed for cross-country skiers, hikers, snow bikers, and snowshoers. Your dog is welcome, as well. Just keep Fido on leash. Parking is available at the Maple Grove Picnic Area. For heavy-traffic times, two overflow parking areas are conveniently located about a half-mile and a quarter-mile down the road. Use of the canyon is $3.00 per vehicle per day. Annual passes are $40.00. Seniors (age 60 and over) are charged $2 per day, and may purchase an annual pass for $20. The interagency pass available from the national park service is not accepted in Mill Creek Canyon.